You may need to obtain a permit to install a fence, but do not let that fact dissuade you from doing so. A good fence can be one of the wisest investments that you make in your landscaping: Fences can serve a number of functions, both practical and decorative. If you live in a district that is highly populated, chances are good that you will need a permit. By contrast, if you are a farmer seeking to put up a barbed-wire fence in a rural area, chances are much better that you will not need a permit. Even where you will be installing the fence within your own property makes a difference. 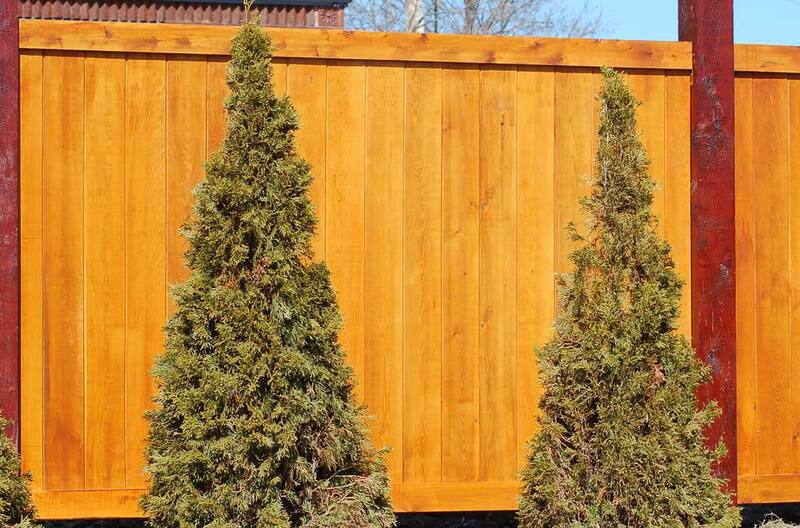 A privacy fence in your backyard will often not require a permit unless it is to be over 6 feet tall, while the cut-off for the same type of fence in your front yard is just 3.5 feet. Regardless of the odds of your needing a permit, you should always inquire as to whether or not you actually need one. Better safe than sorry. If you do not want to run into problems once the job is underway, it is critical that you be all squared away with the powers that be. You can then focus on getting the actual building done properly, without fear that a building inspector will show up and throw cold water on your project. To find out if you will need to obtain a building permit prior to the fence installation, ask your town's building inspector or inquire at your local city hall. A fee may be required at the time that you submit your application. To add insult to injury, even paying a fee may not be enough. Some towns may ask you to sketch out a plan of your proposed fence, replete with photos and written consent from your neighbor(s). Consent is one thing, getting a neighbor to pay for a privacy fence that will run along the property border that you share is quite another. Even though some people adopt the attitude that neighbors should share the burden, since they, too will be profiting from the added privacy, it is not a good idea to ask for such a payment out of the blue. Doing so could breed ill will. Of course, it is entirely different if you have had conversations with the neighbor right along and have already come to an agreement that a mutual investment in a fence to achieve privacy for both of you makes sense. Have a surveyor determine precisely where your property boundary lies, unless you are already positive about the location in question. Alternatively, just make sure the fence lies well within the confines of your own property, rather than near your property border. You need to determine the location of underground gas, water, and power lines prior to digging. Use the Dig Safe phone number to check. It is free, whereas if you damage a power line while making a fence hole, repairing that damage most certainly will not be free. In the process of determining whether or not you need a fence permit, you are likely to acquire additional information that will be of great value to you. For example, building codes and local zoning ordinances may stipulate that a fence 6 feet tall or more must set back at least 15 feet from the street. Such restrictions may annoy you but are often sensible. For instance, privacy fencing on a corner lot should not be so high as to obscure drivers' views at the intersection of the two roads your property abuts: This would create a safety hazard. Even if your application is accepted, you are not out of the woods. Some municipalities will give you a list of inspections that must take place during installation. Successfully passing these inspections sets you up for one, last inspection that puts the government's seal of approval on your structure.